Join Don and Flynn as they find themselves becoming literal Time Travelers. “FLYNN! Come here! Look what I found.” Don yelled from the other room. Flynn came running over, looking into Don’s hand. “WOW! Is that a USB memory stick? I’ve only ever read about those in books.” said Flynn. “This thing is ANCIENT! What a relic.” Don added. 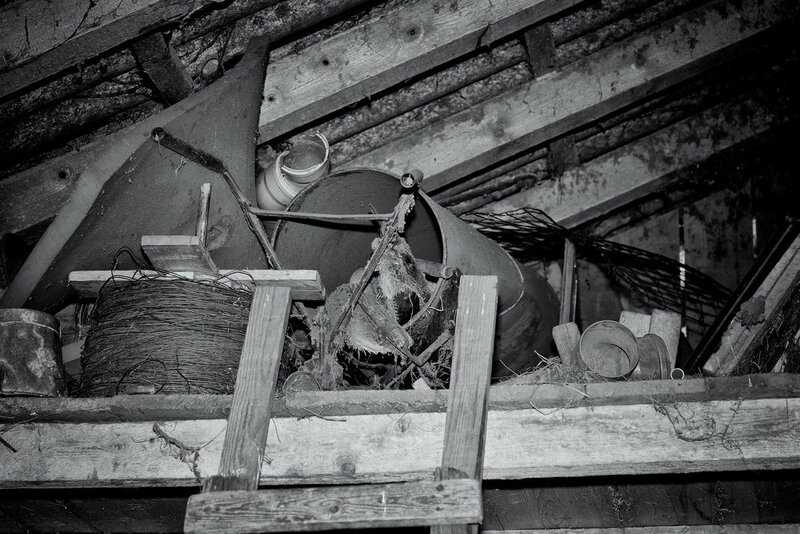 As they stood in the bedroom of the abandoned house, there was a noise outside. “Did you hear that?! Let’s get out of here before we get caught for trespassing.” Don told Flynn. “Let’s go back to my house, my parents have tons of old computer stuff in the attic. I’m sure we’ll find something to plug this into,” Flynn said. “And Don, before we head back, promise me you won’t say anything about the money and drugs we found in there. Those things are dangerous! Who only knows what’s on that!” Pointing to the USB stick his best friend was holding. After a 20 minutes walk, they arrived at Flynn’s house. Luckily his parents weren't home, so they could dig through the old electronics in the attic without having to answer any questions. “Aha! I found it. This old desktop computer should be able to read what’s on this USB stick.” Flynn was super excited. “I feel like a time traveler, going back in time!” He added. “Alright, let’s carry it downstairs and start this thing up.” Don motioned to Flynn. Setting the computer down on the coffee table, both kids sat on the floor and stared at the dusty monitor. It took a few minutes for the computer to boot up. “Ugh, its got Windows! Looks like it’s working, though. Sweet! Plug in the USB, so we can see what we got.” Flynn hurried Don. It took a couple seconds for the computer to recognize the device. “Oh man, it’s encrypted! I guess that’s it.” Don said with a disappointed look. “Ohh, wait!! Haha! Give me a break, it’s an ancient SHA256Bit +Salt Hashing security algorithm. So easy to crack. Like cutting a master-lock with a bolt cutter. Not pretty, but easily accomplished.” Don typed away at the keyboard. “Done. Unlocked,” Don proclaimed, as he opened the newly hacked device and started mousing around. “What are you seeing? Anything?” Flynn was curiously looking over Don’s shoulder. “AM I?! All sorts of stuff. There’s a picture of a guy wearing some electronics on his head. WHOAA! This folder has over 33,000 confidential e-mails and this one has hundreds of documents containing long combinations of words, as well as strings of numbers and letters. It must be security codes of some sort. Lots of videos, mostly in a folder labeled “Magical Crypto Friends.” And here, there’s a program called 2-Factor-Authorization. I remember something about that from one of my Cryptography History books.” Don told Flynn. Looking at each other with eyes wide open, they did not utter another word. It is the year 244 AD and I’ve lived as long as I possibly could, outliving all my friends and family. I have come to fully realize that we are all perishable items, and my time to rot has finally come. I was born in 1986, which makes me 267 years old. How did I live so long? Let me quickly explain, my time is limited. To be clear and concise, it is the year according to Before Coin and After Dollar. The brutal hard fork occurred on January 3, 2009 at 18:15:05. The way in which time and money was calculated changed instantly, worldwide. However, Societies do not change suddenly; they are slow and dislike quick movements. They take their time to adjust. It took our global culture another 9 years to realize this event even happened. People did not realize their old way of doing things was dead. The movement started with 1 Block Transaction worth 50 Coins. This time period was coined “Genesis.” Coin effortlessly spread across every electronic device that contained a micro-chip, some memory, and electricity. Much like a fungus that spreads silently underneath the ground, Coin had the energy and desire to grow and spread itself; vast digital networks of mycorrhizae creating connections at incredible speeds. Digitally, then quite organically. Coin was breaking down barriers, decomposing old stuffs and flowing those digital nutrients back into its surroundings in the form of currency. Some people knew what would eventually happen, the majority did not. A simple idea turned into a Global movement, and eventually sparked a revolution. It was the birth of the Coin age. The Dollar, or Old Money, was dead. Coin became the new Time. Time was now the new Coin. So where do I fit into all of this? I am the creator of the LifeTime Coin, my biggest regret in life. BlockChain knocked on every everyone’s door. If you had a computer, a phone, any smart device like a microwave or crock-pot with a microchip, then it came and talked with you. It wanted you, it needed you. Large companies and entire industries were told “The way you've been conducting business is old and outdated. BlockChain everything you're doing or go out of business. We need new business models YESTERDAY!” One by one, each of them changed their ways and adopted BlockChain Technology. “Just because it’s been done this and that way for however many years means nothing to me. Everything from this point on will be better and more functional, while making everyone involved more wealthy in the process. Every industry needs to exist to benefit all People. This is the new way of doing things. The Store of Value, the Value of Things. The Old Money way of conducting business is dead, it was inefficient and costly,” said BlockChain. This new technology demanded real change from all of us. The Old Money System was debased as the standard. Federal Reserve Banks were out of a job overnight with the implementation of Coin. After 9 AD (2018 on the old timeline) ANYTHING and EVERYTHING could be bought and transferred instantly online – houses, cars, mobile phone minutes, healthcare dollars, game tokens, government fiat, and even people. A couple Bytecoins here, some Digibytes there, 1’s and 0’s everywhere could be earned and spent on just about everything. With a need to create and share, we as a People were outraged that under the Old Ways of living, Artists died hungry and cold on the street, with so much passion, love and creativity in their hearts and minds. Stealers and Cheaters were winning the Game, simply because they set the rules. BlockChain eliminated their rules, it was Game Over. A hard reset. We promised ourselves never to let Society become as evil as it had become. The Digital Forefathers, a handful of Satoshi initiates, wrote The White Paper on how to run this new Society, this new Exchange Ecosystem. With honor, integrity, and above all, Decentralization and Security. This system was adopted in every country within the Free World. Humanity had done it! Dreams were becoming reality; People were innovating and creating like never before. Internet 3.0 became Substratum 1.0, today’s standard. In the olden days we used to go On-the-Line, then we were always On-Line and now we are Constantly Connected to everything at all times. It became known as “The Internet of Things.” Everything from Cars, handheld electronic devices, household appliances, to heart monitor implants, pet ID chips -you name it- were embedded with sensors, actuators, software and network connectivity. BlockChain had a use and practical application in nearly every field. With the smallest amount of processing power, memory and some electricity, everything became “smart” and link-able. It lead to the 4th and 5th industrial revolution. Industry 5.0 being the current standard. The Industrial Internet of Things. Scan-able image codes on any smart device instantly translated into Gas Coins, Steem powered writing tokens, Mobile Data Minutes, and everything else in-between became a Coin. BlockChain Satellites were blasted into Space, and Microscopic Electrified Memory Ions were sent into the Ionosphere to add connectivity to our entire Planet and into the Universe. Lumens ended the food crisis and terminated World Hunger, while Tron became the largest network of Decentralized Applications, powered by Mana and Voxels. It allowed us to visit Virtual Reality pharmacies, Gaming Halls, libraries and take part in immersive movies. Secure and instantly available on any device. 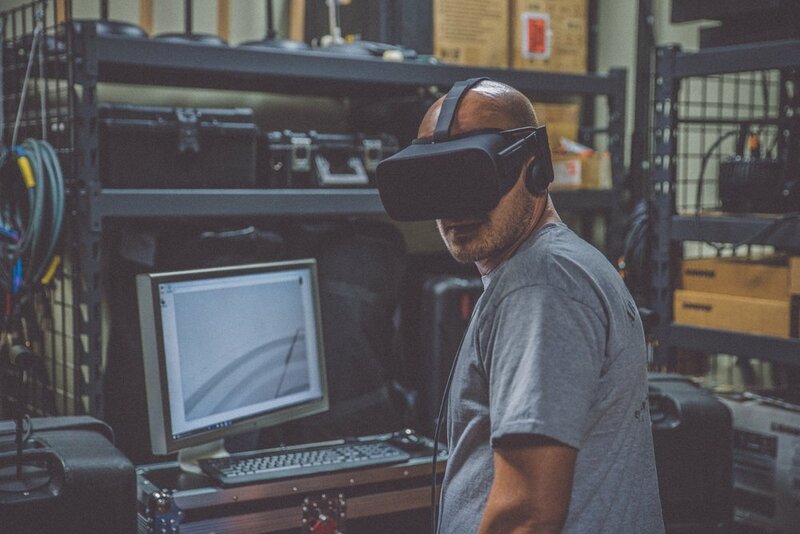 Thanks to Shared Computing Technology on the BlockChain, extra computer processing cycles and hashes on every device were fully utilized to create and process these Virtual Reality Worlds. Everything on the BlockChain was fungible with everything else, working together with ease even though each Smart Contract was vastly different. Creators and Innovators could talk to each other and look at the same thing in Real-Time. The science fiction of yesterday became today’s reality. Everything became instantly monetizable. People made money playing games, watching videos, writing blogs, and coding new smart applications. The Middle-men were cut out in nearly all industries. You could do it all yourself now, without agents, lawyers, brokers, Bank Houses, Loan Officers, Social Media Promoters, etc. Why bother with them when you could do it yourself. Advertisers died off completely, unless their product and company created value for everyone, not just profits for the Board of Trustees. Our time was more valuable than being being forced to watch Ads at every opportunity possible. We watched videos and clicked through content because it provided value, not because advertisers and companies paid each other to shove those advertisements into our head. Social Media became a tool for freedom, for the People to express their creativity, and not just a space to voice lousy and negative opinions within an echo chamber. People were now paid to care about each other, support each other, uplift each other. Content Creation exploded in all directions. Games, Blogs, Videos, Photography, everything was elevated to a higher standard, ideas became reality. We look back on that time time period as the “Initial Coin awOkening.” People finally woke up, critically looking at all our problems and working on efficiently solving them. If you created Value then you got rewarded, in real time. You laid out your passions, along with your hopes and talents, and the BlockChain took care of you. It took care of all of us. Initial Coin Offerings for every industry. It was Win-Win-Win-Win. They called it the 4-Winning-Standard, implemented System wide without any resistance from the People. Globalist Corporations, well, they tried fighting back, failing miserably. They only loved it if they won. Power hungry and corrupt Governments soon fell and were there-after kept small and limited, becoming TRULY Democratic with Smart Power Ledgers, Secure Encryption Voter ID, with the Electronic Votes stored and calculated on BlockChain Voter systems. The technology stood up to all we could throw at it, and it kept on refining, improving, working better and more efficient as time went on. It simply made sense. A generation later, kids had no idea how it used to be, as the current way of doing things was a brainless “no duh!” Only the Old World Thinkers still believed that Coins were a bubble, but we don't speak of their ignorance any longer. Them and the Flat-Earthers. NOTHING WOULD EVER BE THE SAME. It was change on the most massive scale. The People didn't need Old Money anymore. It was no longer about Money, but overall Wealth of the World. An incredible time to be alive. Every person on the planet was now able to live a longer and better life. Time was the new money, Time became our most valued currency. Each of us only have a finite amount of Time. The Time you invested into creating valuable content on the BlockChain, the more money and wealth you created for yourself and everyone else. Creating money out of seemingly thin air. It sounds crazy, I know, but it’s the truth. At this time, I became a Creator through the Written Word. BlockChain turned writing back into a profitable passion for me. If the lying’ New York Times still had a noble and respectful Best-Seller list, I would have been on it, because my Steem Powered posts were more than worthy of recognition. Anyhow, that’s enough of the history lesson. Those Digital Glory Days are long past. The People won; the People always win, eventually. BlockChain was For the People. The Coin Revolution won; for The People, by The People. One day it hit me! It was 4:22pm on a Wednesday, and the idea suddenly appeared from a thick veil of smoke. The sun was sitting low in the sky, a typical dreary and cold day in the Pacific Northwest. I had been starting blankly out the window, watching time pass by. It gets dark early this time of year, and I had no desire to sit around any longer. It was too early for bed, yet too late to get started on anything. I had to live out the rest of my day, a complete waste of time and energy. I felt tired and lazy; passionless and not productive. “How awesome would it be if I could somehow store the last few hours of my day, not live them but save them up. Then, on other days, or at the end of my life, I could use those stored hours as lifetime roll-over minutes when I do feel like being awake and active,” I spoke out to myself. Could it be possible to digitize our actual living and breathing moments into digital LifeTime Coins on the BlockChain? The central idea was that a person could trade in the last few hours of their day, or any hour of their day, and trade that into shareable minutes instantly across the world. Just like some telephone plans, minutes that you do not use by the end of the month are rolled over to the next month. You could share a longer life with anyone. Throwing that idea out there into the Universe, I instantly knew what I needed to do. The idea of harvesting the body’s energy into exchangeable LifeTime Coin “minutes” was born. I went to work researching and building immediately, spending thousands of hours compiling code, engineering the tank, and figuring out how to translate body energy into usable electric energy. Theoretically, the average human body, at rest, radiates roughly 100 watts of extra heat an hour, equivalent to 2000-2400 watts a day. Figuring that 80% of it goes to waste not doing anything, there had to be a way to capture it and make it usable electrically. Simple human powered energy systems had already been available, but their rate of harvesting body heat into a sustainable energy source was grossly inefficient. The area of biological labor units required a tremendous amount of dedicated work. Over months of research and development, I was able to build a sound and light proof fiberglass flotation tank from spare parts. I learned that when I filled the tank with a small amount of water, with the addition of 1,000 pounds of salt, the human body literally floats in this kind of tank. Keeping the temperate controlled at 93.5 degrees allowed the body to fully immerse itself into the surroundings. I could not tell where my body ended and the water began. Over the next few years, I was able to utilize and squeeze out every ounce of energy in my gravity style float tank. Removing the 5 physical sense, it became possible to send 100% of my body heat and energy into the mining system. Thermoelectric generators harvested the human body potential produced throughout the temperature differential, and converted that into usable electricity. I would smoke massive amounts of hash, as well as ingest heroic doses of LSD and Psilocybin while in the mining tank. It provided me with an Elevated Consciousness. In that sedated and relaxed atmosphere, there came a point where my brainwaves become even more intents than Theta waves, which I found to be the most rapid, and easiest way to harvest my energy. Through years of research through trial and error, I was able to maximize my endocannabinoid system in accordance with the Pineal Gland. I added a secret mixture of healTHCare extracts into the salt water to facilitate that transfer of bodily energy. My deeper mode of consciousness was capable of the most complex and far out thoughts and calculations, which translated into a younger mind and body, while improvements in the mining algorithm harvested as many LifeTime Coins out of me as quickly as possible. Instead of “just” sleeping for 8 hours and aging, I could now lay down in the Float Tank Body Miner and convert that time into collectible coins. In fact, not only did I stop aging, I was actually getting younger the longer I stayed in! It was now possible to trade in my body's energy resources, scaled in minutes, to extra electric cycles and computations on the BlockChain. The reward was LifeTime Coins. A 60 Minute nap could mean 60 LifeTime Coins. You could send the extra hour of life to another person, powering their Float Tank Body Miner, in order for them to remain young while mining their own bodies’ resources. During this process, you traded in your day-to-day “real world” time and converting it into usable digital currency, saving precious minutes to use later in life, or sending them to someone else. When I first started laying in the tank, I felt as if I was floating in Space. Other times it felt more like I was drifting away from a remote island into an endless ocean. I would be in there for hours. On a couple occasions, I allowed my body to rest in there and rejuvenate, mining LifeTime Coins for 6 days straight! I had no concept of actual time passing, I completely checked out from day-to-day life so that I could extract as much work out of my body for digital bits. After a few months of prolonged Tanking, I no longer had any sort of social life. Instead of wasting my time pretending to enjoy social situations, or sleeping, I would spend my time at home in my salt bath, mining minutes. What it really came down to was safety and security. I did not want to worry a single bit about what was happening in the outside world. I wanted to shut myself out completely, and I set out to accomplish that. I wanted to feel like I was back in the womb, safe and secure. I wanted to get out of my head and my heart. I was becoming afraid of living, the tank was my safe space. I reverted back to a basic structure of cells, only the most basic processes happening in my body. I was nourished, in a safe and controlled environment, focused fully on my mental capacity to produce the cleanest and most amount of energy extracted from my otherwise limp body. Remember that time in your life? You laid around, floated really, all day and night. Someone else took care of your water and food needs, you did not have to worry about going to the bathroom, all your energy went to developing your cells. You had it nice and comfortable, stable temperature. Warm and cozy. No worries or cares in the world. You don't even realize the world around you existed! It was pure bliss. I never realized just how much I wanted that feeling again. I gave the machine Life; in return I looked and felt younger. The mixture of micro-nutrients, anti-aging hormones, skin preservers and vitamins in the salt kept me young and supple. I was plugged in and hooked up. “Check out, Turn on, Tune in,” was a mantra years before my time. I laid there in peace, not worrying about a thing, everything was taken care of, and I could dream and sleep and hallucinate. I visited vast worlds that I made up and traveled to in my mind. I would do it longer and longer, mining so efficiently that I stored up and HODL’ed trillions of actual life minutes, a massive bag of LifeTime Coins. I had the only system available, so I could not officially transfer them to anyone. However, the minutes were easily cloaked and Exchanged for any currency during all those years of mining. Without fail, I could spend my time in the tank to buy anything I wanted. No one ever thought twice about what I was doing. My time was my currency, and I’m expensive. My “friends” at “work” became non-existent. My family knew I was okay; I would call them once every couple days, but my close friends heard from me less than that. I was making so much money doing this, initially I stopped going to work, and then I never thought twice about a “job.” It was a useless, unnecessary waste to rent my time out to some company for what they see fit paying me. I dropped out of the Game, yet shared in all the glorious things that it offered. I could buy and have anything I wanted now. I had vast sums of money, health and a quantifiable way to have unlimited time. I had absolute wealth. I paid myself, investing the LifeTime Coins into all the different BlockChain technologies, becoming more and more fascinated and involved. The idea of supply and demand was easy to figure out; the two things each and every one of us wants more of is time and money. Before I was rapidly aging and killing myself for mere money, living towards a fast and inevitable death, now I had cut the cord to Society and replaced it with my own umbilical cord. The Womb was a complete success, implementing the 4-Winning Standard. I was most definitely winning; living longer while staying young and rich. No one had any idea. The virtual reality in the tank became my actual reality. I walked around virtual malls, sporting events, visited virtual countries and museums. I could do everything I would do in “real life” for free, but now I was getting paid and saving roll over minutes. It was a fantastic dream world. I would rather be in it, than take part in what our current culture produced outside of my four walls. Not having to endure the physical and mental stress of everyday life, being suspended in that birthing fluid, I was able to stay young for much longer than the average person carrying out their life. If word ever got out that I was able to life several lifespans through the BlockChain, I was certain it would create mass chaos. For the next 140 years, I lived this way, and kept the tank a complete secret. It took me decades to realize I had become a greedy hoarder. All I could think about was living longer, creating more time, amassing more digital bites, mining more LifeTime Coins. I spent all my time researching the best coins, why they were the best, how I could maximize my time so that I would expel the least amount of effort with the most amount of gain. I let my friendships slip, my hygiene, then stopped leaving the house entirely. I spent all my free time in the float tank, trading in my life for online activity. One day I came out of the tank exhausted, feeling crumbly and over-sensitive. My eyes had trouble focusing, and my ears were ringing. My hands were trembling and I had trouble standing up. I knew I was in trouble when I could not get myself to write in the notepad. I had the worst migraine of my life, sure of the fact that I must have short-circuited my brain. Was that a bad trip or what?! The next morning, after sleeping on a mattress for the first time decades, I analyzed the logs and transactions. I realized there had been an error in my calculations. A mundane Monday detail, misplacing a decimal point somewhere. I did not take into account the halving of the coin mining process every 5 years. Through these errors in calculation, my time in the tank had been wastefully translated into LifeTime Coins, causing my body to deteriorate at an alarming rate. For so long I had looked and felt young, but my looks had been deceiving me. I realized then and there that youth cannot last forever, it needs to be cherished when one has it. I thought for so long it was a perfect goal to attain more of it and tightly hold on to it, instead I let it slip. My body had been mined in a much harsher manner than I calculated. Unable to withstand the rigors of maintaining such a deep conscious mind for such extended periods of time, my brain felt as if it had climbed to the top of a 29,000ft mountain, and was now suffering from Cerebral Edema. What did it mean to be human, if I was not going to die? What did it mean to live? Over the next few days, devastated by the thought of death, I looked around and realized I had no one to turn to. Time and money had been my only friends for so long. I was hoarding vast amounts of minutes yet invested nothing in family and Love. I was heartless. I had it all figured out, believing that I didn’t need anybody else in my life, so I lived only to further my own living. I was realizing that I never gave anything back to anyone. People didn't even know I existed anymore. Everyone I knew died while I was in the tank. I had been unable to admit to myself that I was destined to die, being a mere human, alive one minute, dead the next. I gave my actual existence of every day moments to a machine for material wealth. Shame on me. I now saw that I did not have much Time left; Life must always end in Death. I hope to God that I am dead when you read this, as I have grown tired of living this way. Use your minutes wisely, there are only a finite amount of LifeTime Coins available in your life. Spend them with care, as they WILL run out. Guaranteed. As possibly the last thing I do in this life, I have a need to share my secret with the world. With a belief in infinity, rebirth, karma, reincarnation and time travel, whoever finds my technological research, I entrust you with all of my accumulated wealth, with the hope that it may benefit every human being on the planet. The implemented code in the Coins was specifically written to be forward-compatible with any “currency” or form of “money” infinitely into the future. Exchange and cash-in my LifeTime Coins; Give them to the People. Enrich their lives through support of this technology. After living for so long, missing out on so much, I am reminded that it was the Youth that started the revolution, first embracing the BlockChain technology. The elders stepped in and perfected it. We can all learn something from each and every one of us. Every little piece of your life will mean something to someone. Do not let someones age fool you, as it is just a number. Experience is the true indicator of wisdom. Share your life’s value with someone. May time always work out in your favor. Neither Flynn or Don heard Flynn’s parents coming home. Once through the front door, they made their way across the hall and into the living room, eyes wide open as they saw their old computer setup on the coffee table. “Hey guys, what are you up to? What did you find there?” Flynn’s dad asked the boys. “MOM, DAD!! You wouldn't believe it if we told you! We’re rich and we’re going to live forever!” Flynn told them. Don and Flynn used the Life Time Coins to share among the People of the World, and everyone was able to live a wealthier and longer life. 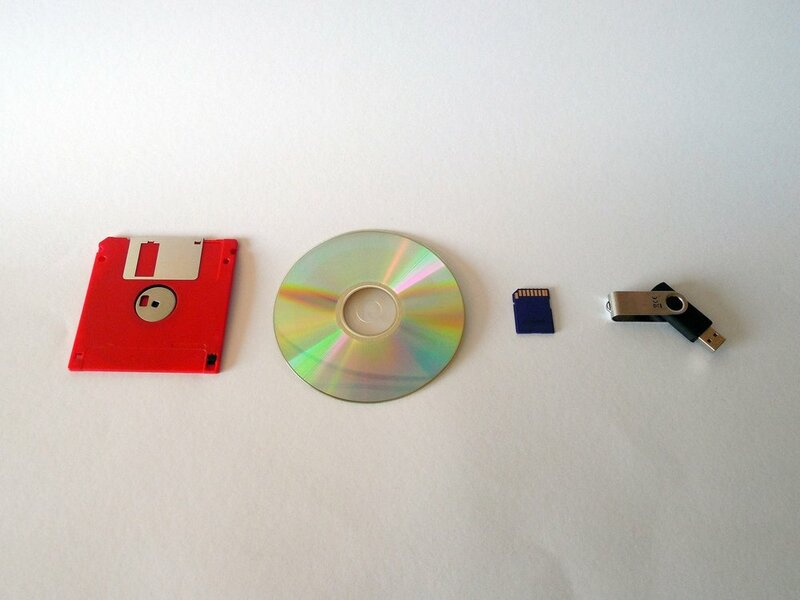 The USB stick turned into the key to a longer life. It became known as the Universal Social Balance transfer. Next time you look up at the sky, think of your loved ones, and remind yourself to be grateful for the Time you've been given. Experience life to the fullest. Go out and play. Have some fun! I would love to hear your constructive criticism about the story. Did you connect at all with it? Tips, comments, suggestions? Plot? Characters? Write a book? Much love to you all. Thank you for taking time out of your daily life to read something I made up. It brings me great joy to know that it is possible to create, through passion and hard work, and benefit The People at large. P.S. Don’t believe everything you read on the Internet. I am NOT a Time Traveler.